Ricky Gervais is the greatest actor in the world. He says so Himself on His website. 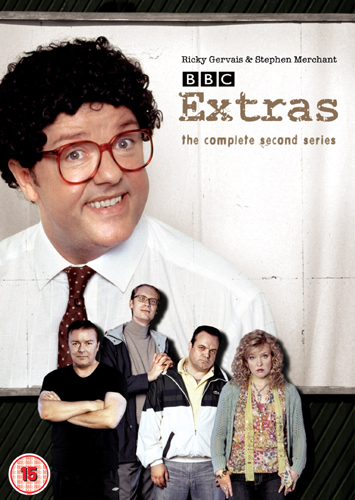 It's not always easy to know quite when RG means what he says, so it was with enormous trepidation that I joined him at Pinewood Studios for two days filming an episode of the second series of Extras, the hit show for BBC TV and HBO. 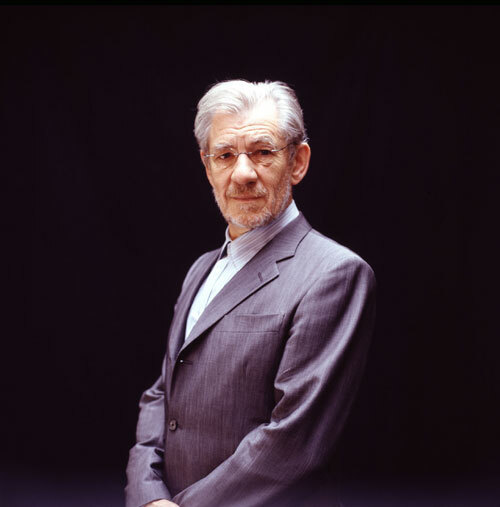 It wasn't made any easier that the character I was playing was called "Ian McKellen". In Extras RG plays another actor Andy Millman, star of a dodgy BBC sitcom When the Whistle Blows, who is eager for a change and comes to audition for a part in a new stage play which Ian McKellen is to direct. With me so far? There are many jokes in this episode of Extras, one of them being that Ian McKellen is gay and also that he is unsufferably pompous. That makes for tricky territory, particularly when the script has been written by two experts in irony, masters of the put-down, the snigger and the snub, RG and his partner (in, I'm pretty sure, the non-sexual sense) Stephen Merchant, now graduated from co-writing The Office to be an actor as Andy Millman's agent. An ASSISTANT is walking ANDY in. Assorted theatre-types are sat around talking. The ASSISTANT and ANDY approach SIR IAN MCKELLEN. Excuse me. This is Andy Millman. It's a pleasure to meet you Mr McKellen. ANDY laughs, taking this for a joke. IAN McKELLEN looks completely dead-pan. ANDY realises he's not joking. Of course it is. Welcome Andy. 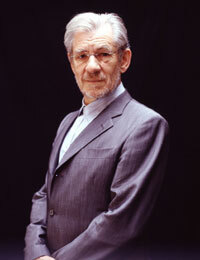 It's an honour to meet you Sir Ian. Oh no, please, it's not Sir Ian. No, not him either. No titles please. Please don't separate me out from the rest of you. Please. We are all workers at the coal-face. If you're going to call me Sir Ian then I'm going to have to call you Mr. Milkman and that would never do would it? On his mobile, RG was non-committal. You can judge the compromise we made when the episode is aired later this year.